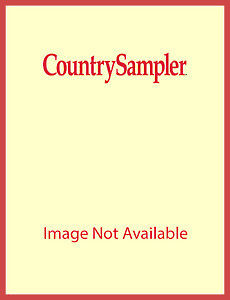 Save over $30.00 off the cover price when you order this special collection of Summer-themed issues of Country Sampler. In these five wonderful issues you will find red-hot displays, star-studded sitting areas, fun porch perk-ups, and carefree summer decor. Topics covered in these issues include: small-house makeover with pretty summer crafts, ideas for the flower garden to make it all yours, Patriotic kitchens, lively yard decor plus many more ideas and tips. Order this 5-pack today and get ready for summer! 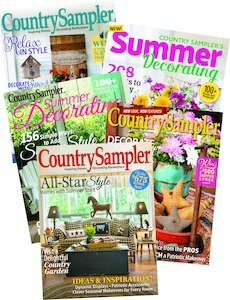 Issues in this pack include: Country Sampler July 2015, 2016 & 2017, Country Sampler's Summer Decorating 2016, Country Sampler's Prairie Style Summer 2017.